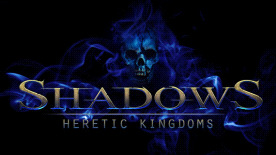 Shadows: Heretic Kingdoms is the next chapter of the Heretic Kingdoms saga. The Action-RPG is produced by Games Farm and published by bitComposer Games for release in Q4 2014. Set a few years after the events of Kult: Heretic Kingdoms, players are caught up in a terrible conspiracy and propelled upon an epic journey through a world of dark fantasy. Epic battles and unexpected plot twists await those brave enough to rise to the challenge! Take control of the Devourer, a demon that swallows the souls of the dead and brings them back into the mortal realm as puppets. But is the demon their master – or their servant?